With at least 20 landslides, the Rangamati hill district was worst affected and resulted in 99 deaths, including four army personnel involved in rescue operations. Dhaka: Bangladesh today launched a fresh rescue campaign as the number of casualties due to landslides, triggered by heavy monsoons, climbed to 137 with the majority of them reported in a remote hill district close to the Indian border. The hilly districts of Chittagong, Bandarban and Rangamati are the worst affected districts, Bangaldesh officials said, adding that the number of victims will rise further as many are still missing under tonnes of debris in southeastern hills. 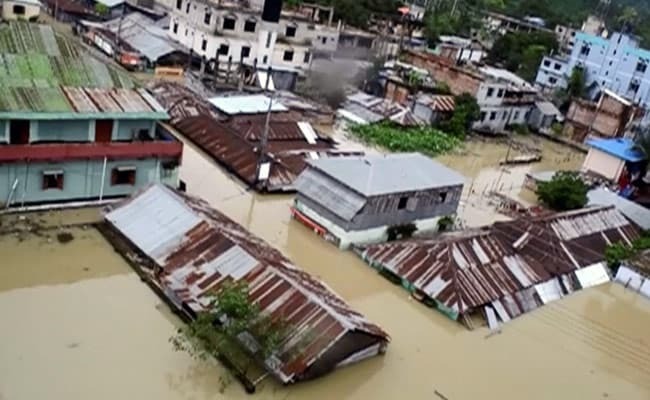 Officials confirmed 129 deaths but media reports put the number as high as 137 in nearly three days' of torrential rains due to a depression in the Bay of Bengal which have triggered a series of landslides since Monday in the three districts. With at least 20 landslides, the Rangamati hill district was worst affected and resulted in 99 deaths, including four army personnel involved in rescue operations. Local people said a landslide pushed 15 army men down to around 30 feet, killing the four. A military spokesperson said the troops were called out to clear the landslide rubble from a highway linking port city of Chittagong with Rangamati.